So for some crazy reason people are enjoying reading my blog?! I have been nominated not only once, but twice for the Liebster Awards!! 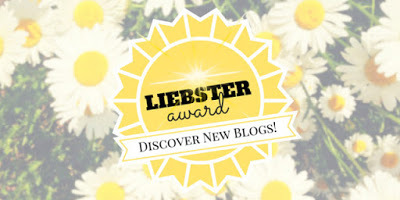 As I'm sure you're aware, the Liebster Awards were created to bring light on new bloggers and to increase traffic to their sites. I was nominated by the lovely Becky and the equally delightful Lauren - thanks girls!! 1) Top 3 TV shows? Okay I had to think long and hard about this one!! A couple of years ago I would have said The Vampire Diaries for sure, but honestly I really feel since like, season 3 that it's gone seriously downhill! So for now I'm obsessed with Pretty Little Liars, (Read my review of the season 6 summer finale here!) Sherlock and Humans. 2) What's on your beauty wishlist? Anything by Charlotte Tilbury!! I'm currently lusting over the beautiful packaging of her products! 3) Do you prefer hair care or skin care products? Skincare for sure! I'm super lazy with my hair, apart from washing and conditioning I rarely do anything fancy... I don't even blow dry unless I've got to leave in a hurry! Ahhh this is a horrible question! I'm such a nerd that asking me this is like telling me to choose a favourite child. (or lipstick, whatever floats you boat!) I'm obsessed with anything by Cassandra Clare or Sarah J Maas. But if I had to choose I would say the Harry Potter series... and if I needed to choose a favourite book?! Ahh maybe The Philosopher's Stone... Or the Half Blood Prince!! If you haven't read Harry Potter... I don't care how old you are, or that you 'don't like witches' I swear you'll adore Harry Potter. 5) Which celebrities makeup are you inspired by? Honestly I don't really look at celebrities makeup that much but I do think Kim K kills it as does Zoella!! Too many to list!! Ummm Aspyn Ovard, Zoella, Alisha Marie, mylifeasEva, Claudia, Velvetgh0st, Tyler Oakley, Connor Franta, and the Fowler sisters!! 7) Which brand of makeup is your favourite? If given an unlimited budget... Chanel for sure!! But from the drugstore I think Maybelline is fab quality! 8) How would you describe your fashion style? Bohemian with a bit of Topshop thrown in!! Small delicate necklaces, my Pandora rings and a statement Kate Spade bracelet! 10) What are your favourite phone apps? Bloglovin', Instagram, Snapchat, Wattpad, Twitter... All the social medias really! 1. Where is your favourite place to visit? Ever since I was little my family has always holidayed in The Lake District at least once a year. We have a time share on a property up there so it's super easy access. It's truly a beautiful place, incredibly calming and serene especially because I come from a fairly built up area. Next time I go I'll be sure to take the old DSLR and get some photos for you guys!! 2. If you could have any magic power, what would it be? I would like the ability to heal people. I know it may sound soppy, but I wouldn't want to waste a power on being able to turn invisible etc when their are amazing people dying of terminal illness who have families and lives that could be destroyed by their passing. The ability to heal people would do so much more good in the world than being able to read minds!! 3. Which 3 people would you love to be your dinner guests? Martin Freeman, J K Rowling and Emma Watson!! 4. Favourite drugstore beauty product? The Rimmel London 6 in 1 BB Cream. You can read my review on it, here. 5. What is your favourite thing about yourself? Okay this may sound a little weird but one thing I like about myself (or at least I'm grateful for!) is that I'm a very good actress. Naturally I'm an incredibly shy person so walking into a room of people I don't know is a horrendous thought however no matter how sick-to-the-stomach I'm feeling; on the outside I look bubbly and confident. Because confidence is cute?! And unfortunately it's something I lack. Seeing new comments on my blog posts, (hint hint!) my friends and family, achieving things, and dancing!! Les Miserables, seriously I know all the words and I'm not even joking! Harry Potter and the Order of the Phoenix and a quirky 90s film called My Cousin Vinny. 9. What is one of your best memories with your friends or family? My best memory with my friends would have to be our leavers prom at school this summer. I've got a post about it, however I look so strained in the photos because the sunlight was so bright!! It was just such a fun evening and everyone looked so glamorous and gorgeous! 10. What was the reason you started blogging? A combination of reasons really. For a long time I'd wanted to start YouTube because I truly admire so many people who've kick started careers online however I could just imagine I'd be super awkward on camera! This, coupled with a love of words (writing is my first love) made me consider blogging. 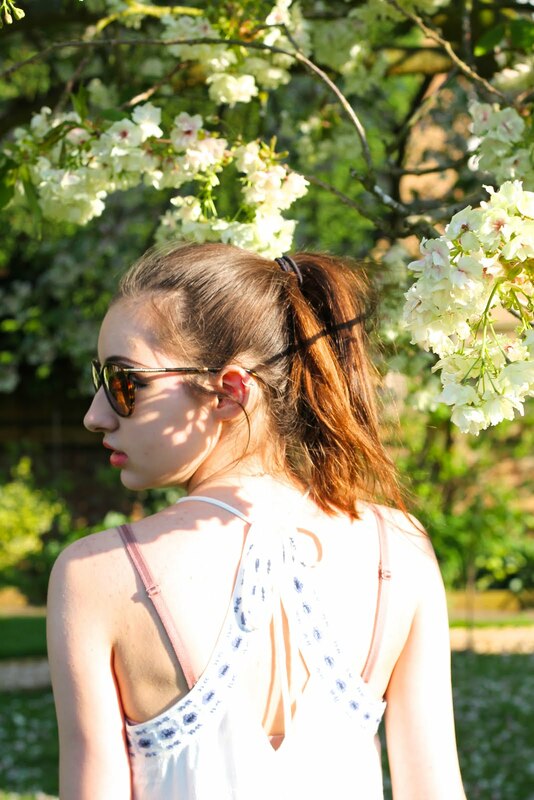 My internal debate of whether or not to create a blog went on for about six months before after finishing my A levels this June I decided to bite the bullet - What was the worst that could happen!! 1. Where do you see yourself in ten years time? 3. Any piercings / tattoos? 4. Can you drive a car? 5. What are your top three makeup products ever? 6. What would you tell your younger self not to do? 7. Last place you travelled to? 10. What would your dream job be? And that's it my lovelies! This has been such a fun post to write! Major thanks to Lauren and Becky for tagging me, and don't forget if I've tagged you, make sure you leave a comment on this post with the link to your answers! I'd love to know more about y'all! I really love your blog and this award is well deserved. Keep posting! !